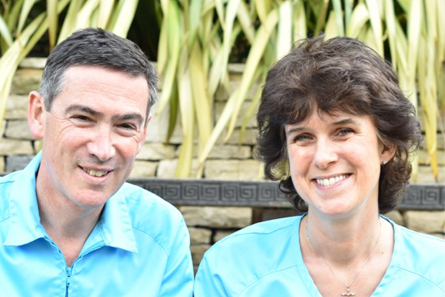 As a husband and wife team we have been providing high quality dental care and service to the local community since 1991; such continuity enables us to give you and your family personal and individual dental care. We understand that the people that look after you can make all the difference, and that it is reassuring to be greeted by the same familiar faces and be cared for by the same dentist. As a long established team, we are able to build up a personal friendly and professional relationship of trust, allowing us to treat everyone as an individual with unique needs and concerns. You can be assured that the Mews dental team will look after you in a gentle and caring manner, which will allow you to feel as relaxed as possible when you visit us. You will be greeted by the familiar friendly faces of the Reception team. Diane our practice manager joined us in 2004 and with her extensive knowledge and experience, she is able to look after patient's individual needs. We have two Hygienists; Denise who has been looking after our patients since 1996 and Aloine who has been with us since 2017. They are particularly good at reassuring patients who initially may be reluctant or nervous regarding hygiene visits. Denise and Aloine play a key role in helping our patients to avoid or combat gum disease and will create an individual daily homecare routine specific to your needs. Hygienists differ greatly in their approach and as regular visits may be necessary for some patients, it is important to find one who you feel comfortable with and are happy to see on a regular basis. Patients who attend regularly for examinations, dental maintenance and hygiene visits, as necessary, usually only require a relatively low level of dental treatment to maintain oral health. Continuity of care allows us to spot potential problems early, give preventative advice and carry out oral cancer screening, so minimising dental treatment and costs. Over the years we have looked after the different generations of families and welcomed their new additions. New patients often come to us by way of personal recommendation from our patients, who value the level of continuity of care that we can offer. Our aim at the Mews Dental Clinic is dental health for life so that you can smile with confidence. To make a new patient appointment, you can contact us through our new patient /contact page, or call us directly on 01483 414128. Why not pop in and see the practice and meet the team and see for yourself what makes us unique.